Anna Sobiech, Bartłomiej Lipka, Marcin Fridrich and Laurent Uhres, the box-owners of CrossFit R99, show us how the Polish do CrossFit. We all started differently. 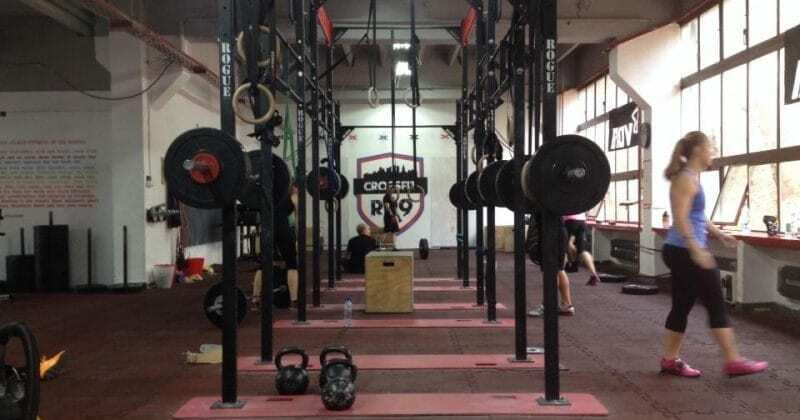 I found out about CF as the first of us and it was through friends, I got involved in different Reebok events concerning CF and that’s how I met Bartłomiej and Marcin. We started training together quickly and decided to open a box together. Laurent joined us a little later. We opened our own box because we wanted to have a place for our training but there was no such place in Poland. Actually our box is the first box in Warsaw. What makes our box really special is the strong community, a great atmosphere, a lot of different classes to choose from. We are also known for great athletes – a lot of our members take part in different CF competitions and place high in those. We have about 200 members. There are both male and female, maybe slightly more men. There are people at different ages, including little kids as we are the only box in Poland which is certified to have CF kids classes. We are open to older people too and we do have members over 50 and 60. The majority of our members are aged between 20 and 45. We DO have athletes. Our members take part in different CF competitions in Poland and abroad. Bartlomiej (the co-owner) has competed in the French Throwdown as well as the Nordic Showdown. He is now qualifying to the Battle of London. I am a CF judge and have judged in the following events so far: Crossfit Regionals Copenhagen 2012, RCFFC Nordic in Stockholm 2012, London Throwdown 2013, Crossfit Regionals Copenhagen 2013 and Crossfit Invitational 2013 in Berlin. We offer Mobility classes, Barbell classes and CF kids classes on a regular basis. Once in a while we organize weightlifting and gymnastics trainings to our members. Yes, we are always ready to help our members as far as different issues are concerned, including nutrition. Everyone who wants to start training at our box has to attend an INTRO CLASS, which is run twice a week. At an intro class we go through all basic movements and explain everything to our new members. After they have attended INTRO they can come to any WOD and we take care of them. We organise internal competition every month. Our members have participated in 5 so far. The competition is meant for 12 editions. At the very end we’ll choose the best male and female athlete of the box, who will receive a valuable prize.The competition is very popular among our people and we do our best to make this perfectly organised for them in terms of jugding, standards and the choice of the exercises. We are amazed at how well they are doing and how much they are involved. We support all boxes in Warsaw.